Others are not like that, they are so addictive that we forget when we started playing, if we’ve eaten or not, or if it’s night or day outside. They are addictive beyond reason, and if you’ve played even one of these games on the list, then you probably know what I’m talking about. Be careful! Today’s list is full of highly addicting games that will monopolize your time and make you forget most of your daily routines. Minecraft is all about going on adventures, digging, crafting and building something from scratch, which is what makes this game super fun and addicting. You can do practically anything you want, as it has multiple available mods, some of which are more demanding, like the survival mode, and some where you can do basically anything. You can travel, explore the vast lands and the amazing endless map, and have a lot of fun in the process. Since its release back in 2011, it has been wildly popular, especially among younger audiences. The great thing about the game is that it wakes up your creative and crafty side and keeps your interest by including exploration, travel, building and crafting all in one game. DOTA 2 is a free-to-play MOBA game that was released back in 2013, as a sequel to DotA (Defense of the Ancients). 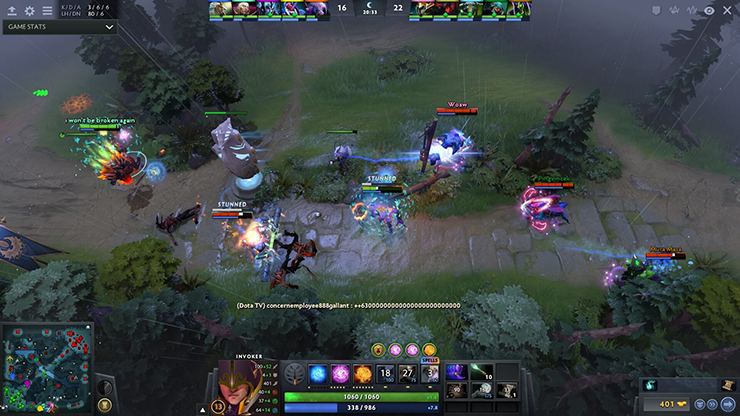 The interesting thing about DOTA 2 is that it keeps you playing for hours on end, going from one match to the next, as you try to improve your skills and get better with each match you play. The matches in DOTA 2 involve two different teams with separate bases. The teams consist of 5 players each, and each of those players controls a different character or hero that has its own unique abilities. Each player can collect items and experience points which will help him or her in battle afterwards. The team that manages to destroy the base of the opposing team first is the winner. Counter-Strike is a FPS game that was first released back in 1999. Since then there have been a lot of sequels released, the latest one being Counter-Strike: GO, which is a wildly popular sequel, especially among streamers. But what we’re here to talk about today is the very first/original and highly addictive version of the game, that was really popular when I was in primary school. The game puts a team of Counter-Terrorists and Terrorists against each other in a fast-paced gameplay where each team needs to complete specific objectives and/or eliminate the other team’s members in order to win. The terrorists’ job is to hold people hostage, or plant and detonate a bomb, while the counter-terrorists try to defuse the bomb or rescue the hostages. The gameplay depends mostly on the maps you choose to play. You have the option to choose between hostage rescue maps, bomb defuse maps, assassination and escape maps. The most played maps on Counter-Strike are: cs_italy, cs_assault, de_dust, de_aztec, de_train and many more.